Mr. Callahan worked in the medical field for over ten years after graduating with a bachelor of science degree in Chemistry. During this time, Mr. Callahan provided support to the medical staff and surgeons in over 10,000 surgeries before he decided to further his education by attending law school. After accepting a scholarship from Vanderbilt University Law School, Mr. Callahan graduated with his juris doctorate in 2010. He clerked for the Honorable John Turnbull and for attorney Jon E. Jones while in law school. Upon graduation, he worked for the Law Offices of Jon E. Jones as an attorney from 2010 through 2016 where he focused on medical malpractice. Mr. Callahan gained a tremendous amount of trial experience in a short time while working with one of the finest trial lawyers in Tennessee. In 2016, along with Andrew Binkley, he formed Callahan & Binkley, PLC, where he will continue to focus on medical malpractice litigation. 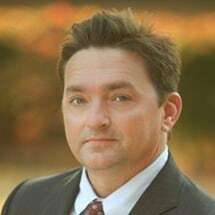 Mr. Callahan also has experience in other personal injury matters as well as business and contract disputes. Mr. Callahan recently prevailed at the Tennessee Supreme Court on a matter involving an insurance company's refusal to cover its insured.